TAKUMI COMPANY offers full service Woodworking and Construction in top quality authentic Japanese style. This includes initial consultation, design, engineering and building. Our projects range in size from door and furniture items to whole house construction. 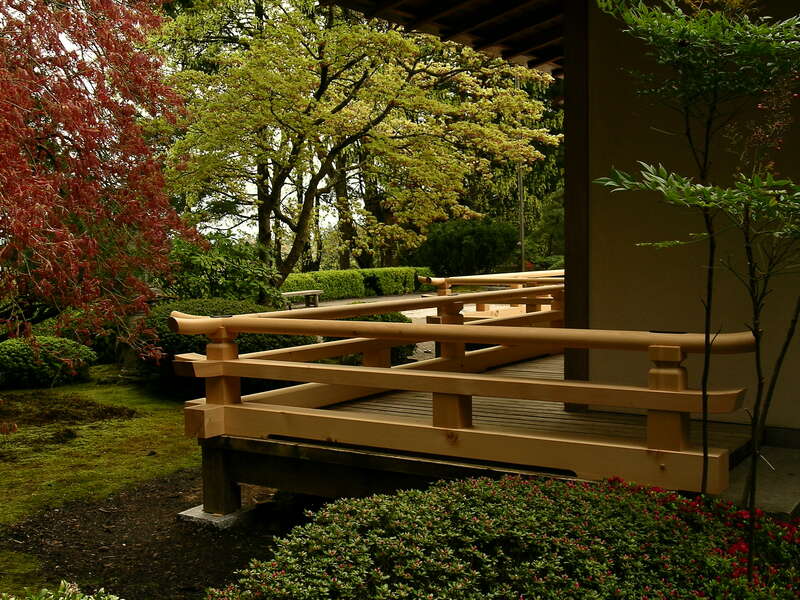 This area is intended to provide more in-depth information on our services, Japanese Architecture in general and links to other resources. Please browse through the titles to the right for information on specific subjects. Many people express an interest in learning the craft of Japanese Carpentry. In response Dale Brotherton, owner of Takumi Company occasionally leads workshops to provide introductions to this ancient craft. Classes conducted in the past years have included projects to build Entry frames, small roofed structures, and saw-horses. All of the classes thoroughly cover sharpening and setting up of Japanese hand tools including hand planes. The Fall 2018 class in Ashland produced timber scale doors for gates erected in previous years. Follow the link on the right to view class photos. Currently four classes are scheduled for the remainder of 2019. Two at the end of April into May at the Port Townsend School of Woodworking . One weekend class tentatively scheduled for August at the Seattle Woodcraft Supply store. And finally, a week long workshop in October at Econest in Ashland. Please follow the links to the right for more details. Although there is no substitute for undergoing a full apprenticeship to learn Japanese Carpentry, these classes provide invaluable information on basic setup and use of Japanese tools, along with joint cutting techniques. The tools and knowledge gained can readily be applied to any style of fine woodworking. It is also recommended that aspiring apprentices first participate in a class to get a feeling for what the work involves. View the link at the right for more discussion on apprenticeships.